<!-Stanley Ray Badmin. 1906-1989--> Stanley Ray Badmin. 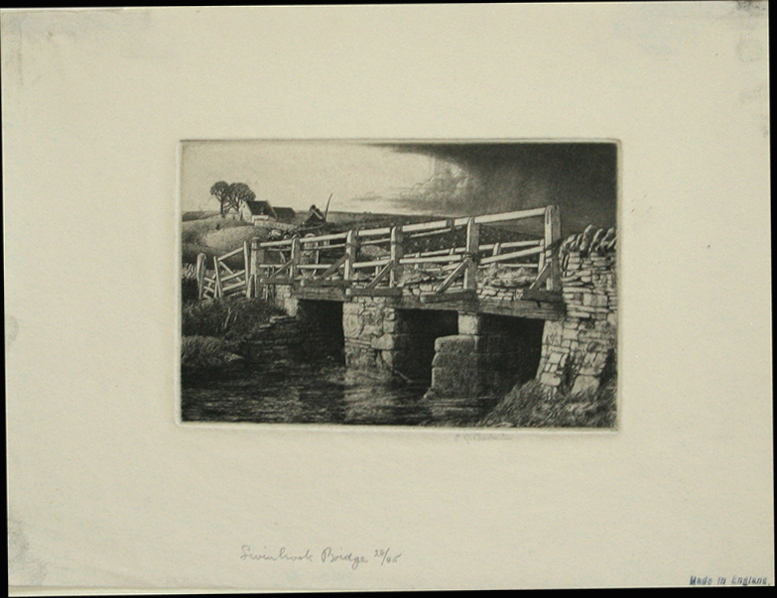 Swinbrook Bridge. Stanley Roy Badmin, R.W.S, R.E., A.I.A., F.S.I.A. 1906-1989. 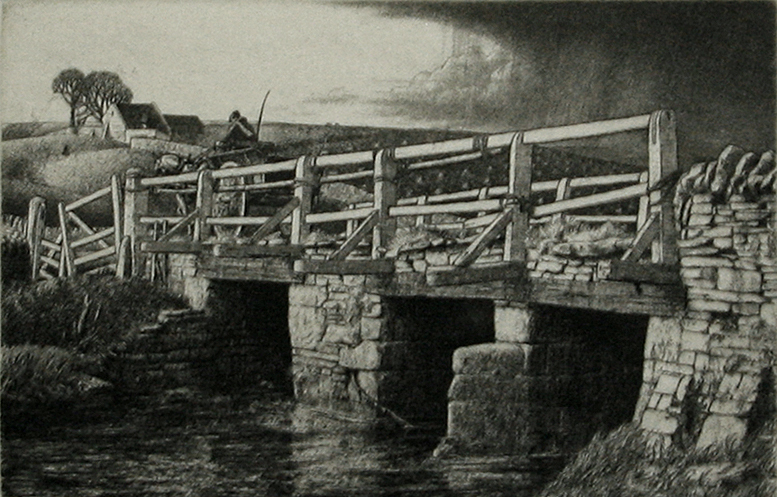 Swinbrook Bridge. 1931. Etching. Beetles 22. 3 11/16 x 5 7/8 (sheet 7 3/8 x 9 7/8). Edition 45, #28. Published by the Twenty-One Gallery. Exhibited: Royal Society of Painter-Etchers and Engravers, 1931; Royal Academy of Arts, 1932. Illustrated: Fine Prints of the Year, 1931. A rich impression with plate tone printed on cream wove paper, probably Basingwerk Parchment. Signed, titled and numbered in pencil. $2,000. Swinbrook is a small village in the Cotswolds on the River Windrush, about 2 miles east of Burford, Oxfordshire. Apparently untouched for generations, it is the quintessential English village with its stone walls, pretty church, cricket pitch with wooden pavilion, and an old stone pub next to the old stone bridge across the River Windrush. To order, to report broken links or to be placed on the email list, please contact Jane Allinson (jane@allinsongallery.com) or fax (860) 429 2825.